The neighbor’s rooster cackled. A slight easterly breath pushed the morning’s fog. A crow cawed, off to the west, near the nameless creek that meanders through the big swamp. Jerry’s rooster cackled again and again. “Caw, caw.” What sounded like a single crow offered a timid response as it flew overhead. I looked up, but there was no yellow or lavender or bluish sky, no black bird, only thick, damp roiling fog. In a minute or so, two crows passed over, winging from the east, not making a sound, just above the cedar tree tops. “Urka, ur, urkkk… Urka, urka, urrrr,” Jerry’s rooster crowed for the last time that morning. 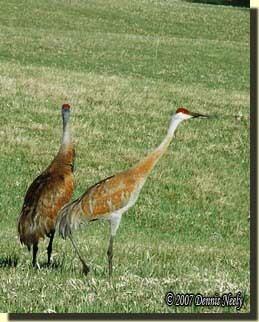 Well to the east two Sandhill cranes conversed as they approached a harvested cornfield, “Errooo, errooo, errool…” they cried. In my mind I saw their broad, cupped wings set, their necks stretched out and those long spindly legs take a few steps as they landed in the stubble. Two Canada geese bantered, and I knew the cranes were not the only ones gleaning a breakfast meal. My stomach growled, and I felt my innards twist. About ten minutes passed. A gentle breeze began to whisper through the cedar grove, and in another ten minutes the fog was gone. A doe and her two spring fawns lay under the maple tree that grows in the center of the cedar grove. As soothed as I by the mid-October fog, the three rested with drooped heads, barely awake. A ball of grayish fur lumbered on the ground, to the right of the farthest fawn. 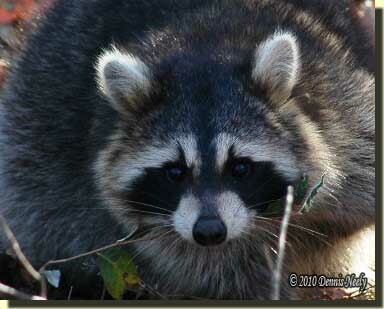 The creature’s waddle was distinctive, a mature raccoon for sure. It stopped and started, searched right, then left, then ambled by the fawn on its way to the maple. It stopped short of the trunk and rummaged in the yellow leaves, perhaps intrigued by a damp morsel of food. The raccoon sat a spell, moved to the tree, then curled up with its rump neatly tucked in a space between two gnarled roots. For a traditional woodsman, every moment spent in the glade is a cherished blessing. The thrill is not harbored in the fleeting instant the death bees deliver their morbid message, but rather the minutes and hours before or after. As on most outings, the cackle of a neighbor’s rooster, the caw of crows, the chortle of unseen Sandhill cranes or geese, the discovery of bedded white-tailed deer and an unexpected visit from a forest tenant define success, not the smoke and flame of a flintlock smoothbore. In talking with other like-minded living historians, the preferred wild game of most traditional hunters is the deer, followed by wild turkeys and squirrels. For some of us, Canada geese, mallards, wood ducks, rabbits, pheasants, ruffed grouse, woodcock or quail fit in an extended list. Now and again, bison, bear, elk, moose, caribou, coyotes, fox and even crows get honorable mention. And not long ago, Jeff Parks wrote of looking forward to chasing spring woodchucks, but I don’t believe I have ever heard anyone mention raccoons. As so often happens while trying to sift and sort through historical nuggets, other passages take on new significance or add to the understanding of a just-read tidbit. If fall, winter and spring were described by young Alder as “skinning time,” then we are not talking about taking game with the same frequency as today—certainly not five or ten or twenty raccoons gathered over the course of a modern four-month fur-harvesting season. After reading the passage, I retired to my research files. About a year ago, Gary Noblit, a fellow traditional hunter and outdoor writer, sent along a page from a 1940-era copy of “Michigan Conservation” magazine. The significance of the piece is a table listing “skins sent out from the post at St. Joseph, Michigan.” According to the table, during the fall of 1796 to the spring of 1797, the post traded for and shipped 22,032 raccoon skins, compared to 117 beaver, 2,899 bucks , 3,127 does, 280 fox, 517 mink, 5,091 muskrats and 436 otter. The numbers give one pause, especially considering the non-mention of raccoons in modern traditional black powder hunting circles. 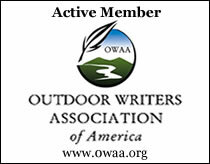 One part of this is the shift in the balance of nature among game species, a second is the lack of dependence of raccoons for food, a third consideration is the lack of field time available to traditional woodsmen, and to some extent, a fourth cause is the disproportional importance placed on white-tailed deer, elk and wild turkeys by the outdoor news media. Another contributing factor is the stigma placed on “coonskin caps” within the living history community. In the early days of the black powder revival, those who wished to pursue the primitive side of muzzleloading tried to copy the few historical records available. The distinction between “primary,” “secondary,” and “fictional” documentation was unknown at the time, so sources got jumbled up. The 1940’s issues of Muzzle Blasts are filled with images of fur caps, and patterns, based on the best histories available and characters in classic novels such as James Fennimore Cooper’s The Leatherstocking Tales. Hollywood’s wardrobe choices for Davy Crockett and Daniel Boone just added insult to injury. The end result is that raccoon skin head gear is taboo in today’s re-enacting world, regardless of what the historical record says. This entry was posted in Clothing & Accoutrements, Living History, Turkey Hunts and tagged Dennis Neely, historical trekking, North West trade gun, Northwest trade gun, traditional black powder, traditional black powder hunting, traditional blackpowder, traditional blackpowder hunting. Bookmark the permalink. A good piece to read with the morningcoffee. Gives you something to think and dream about for the rerst of the day. You did mention crows as game. Didn’t know you could eat them? Are they any good? I did some looking, but unfortunately, I can’t find the reference to eating crow. Crows were eaten in the 18th-century. I listed them along with some of the varmints (you don’t eat coyotes or fox), because I have had some traditional hunters mention crow hunting in passing. I thought that offered a contrast to the lack of mention for raccoons. So, how’s that coffee taste now? ?